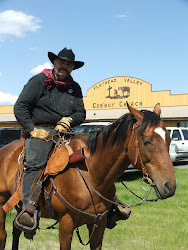 Due to the extreme weather forecasted now through Sunday night, services for The River and Flathead Valley Cowboy Church will be canceled on February 18, 2018. But we will have a special opportunity for you to join with our church family in worship thanks to today's technology. WE ARE HOSTING A LIVE VIDEO STREAM on The River's Facebook page. John Gabriel Arends will be leading an acoustic set of worship from his home and Pastor Paul will link to the live stream to give a message from the Word from his home. THE STREAM WILL START ON SUNDAY AT 11AM and is open to anyone. Simply come to the Facebook page (facebook.com/therivermontana). You can watch on your computer, phone, tablet, or smart TV. And because it's Facebook, you'll be able to interact live in the comments. If you plan to join the live stream, please be ready a few minutes early. Since this steam is being produced for an emergency situation and not under our ideal situation, we hope you'll be patient if we have any technical difficulties. It may be raw, but we expect real encounters with God for those who have hungry hearts!